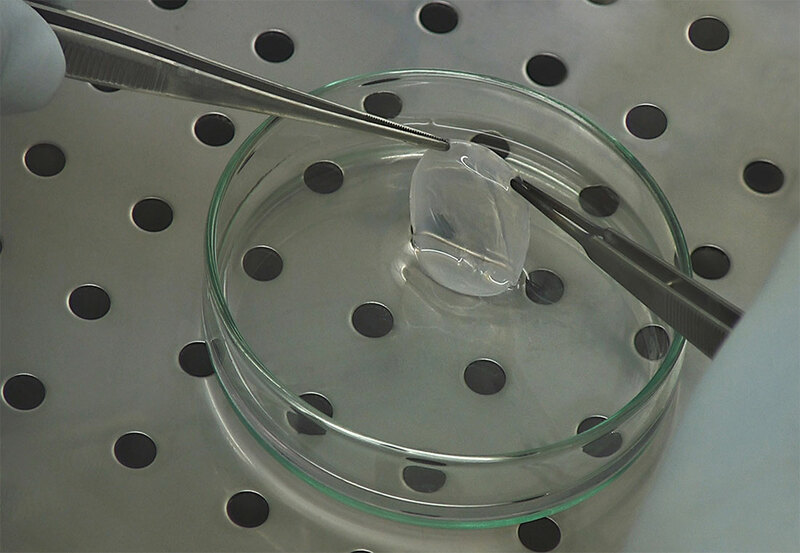 Parma/Modena (Italy), February 20, 2015 – The European Commission has granted a conditional marketing authorization, under Regulation (EC) No 726/2004, to Holoclar®, an advanced therapy based on autologous stem cells and capable to restore the eyesight of patients with severe cornea damage. Holoclar® is manufactured by Holostem Terapie Avanzate (Holostem Advanced Therapies) – a spin-off of the University of Modena and Reggio Emilia – at the Centre for Regenerative Medicine “Stefano Ferrari” (CMR) of the same University. “Holoclar is the very first medicinal product based on stem cells to be approved and formally registered in the Western world” – states Andrea Chiesi, Director of R&D Portfolio Management of Chiesi Farmaceutici S.p.A. and CEO of Holostem Terapie Avanzate. “This record – continues Andrea Chiesi – shows that the partnership between the public and private sectors is not only possible, but is probably the best strategy for the development of stem cell-based regenerative medicine, particularly when autologous cells are used. Holostem is now considered as a business model to translate into clinics the results obtained by scientific research in this field”. UnderlyingHoloclar® are more than twenty years of excellence in research, conducted by a team of internationally renowned scientists in the field of epithelial stem cell biology aimed at clinical translation. European Directive 1394/2007 substantially equalizes advanced cell therapies to medicines and imposes, among other things, that cell cultures has to be manufactured only in GMP-certified facilities (GMP: Good Manufacturing Practice). Thanks to the investments of Chiesi Farmaceutici, the Centre for Regenerative Medicine in Modena – where Holostem operates – was certified as GMP compliant and continue to follow the path towards the registration of this newly developed advanced therapy. “The authorization process has been long and complex, but the result achieved today shows that cells can be cultured according to pharmaceutical standards appropriate to guarantee safety and efficacy – adds Professor Michele De Luca, Scientific Director and co-founder of Holostem, as well as Director of the CMR of the University of Modena. – In addition, in a period of great confusion about the real therapeutic possibilities of stem cells, such as the one we are living in, being able to demonstrate that stem cells can be definitely safe and successful in a controlled clinical setting is more important than ever”. Toexplain how Holoclar® works is Professor Graziella Pellegrini, Coordinator of cell therapy at CMR, as well as director of R&D and co-founder of Holostem, who authored, together with Professor De Luca, the research and designed the product development: “After developing cell cultures based on epithelial stem cells for the treatment of various disorders of the stratified epithelia – from the skin for full-thickness burns to the reconstruction of the urethra – we discovered that the stem cells that allow the regeneration of the cornea reside in a small area at the border between the cornea (the transparent part at the center of the eye) and the conjunctiva (the contiguous white part), which is called “the limbus”. When thermal or chemical burns of the ocular surface damage irreversibly this stem cell reserve, the corneal surface – which in a healthy eye completely renews itself approximately every six/nine months – stops regenerating and the conjunctiva gradually begins to cover the cornea with a white coating, that prevents vision and causes chronic pain and inflammation. If in at least one of the eyes of the patient even a small residue of undamaged limbus is left, we are able to reconstruct in laboratory the epithelium that covers the corneal surface, thanks to the stem cells harvested through a 1-2 mm2 biopsy. This graft of epithelium – Holoclar®, precisely – that looks like a kind of contact lens, is then transplanted into the patient and allows to obtain a long-term transparent cornea and a full recovery of visual acuity, without causing any rejection reaction, because it consists of cells of the patient him/herself”. This therapy, experimentallyappliedfor the first timein humansin the nineties, and designated as orphan drug in 2008, thanks to the registration obtained today, in the near future will be available to all European patients who have suffered workplace injuries (caused, for example, by burnt lime, solvents or acids), domestic accidents (for example eye burns caused in adults and children by detergents or abrasive agents) or – as unfortunately reported by the press in the past few months – in the cases of assault with chemical agents. Meanwhile, the research in Modena does not stop. The next goal of the team of Emilian researchers and entrepreneurs is to develop new advanced therapy products, such as the gene therapy for the treatmen tof epidermolysis bullosa, or “Butterfly disease”, to date used successfully in the first two patients ever. And to develop new experimental and clinical protocols using different stem cells of stratified epithelia, such as conjunctiva, urethra, oral mucosa and respiratory epithelia.